Portland is the most populous city in the U.S. state of Maine, with a population of 67,067 as of 2017. 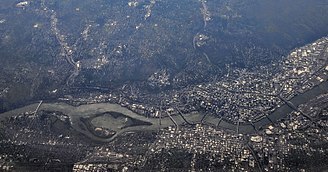 The Greater Portland metropolitan area is home to over half a million people, more than one-third of Maine's total population, making it the most populous metro in northern New England (an area comprising the states of Maine, New Hampshire, and Vermont). Portland is Maine's economic center, with an economy that relies on the service sector and tourism. 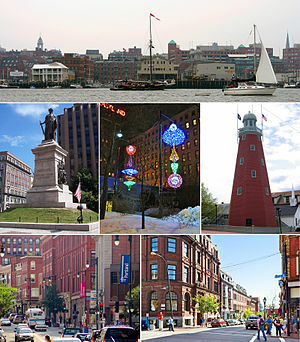 The Old Port district is a popular destination known for its 19th-century architecture and nightlife. Marine industry still plays an important role in the city's economy, with an active waterfront that supports fishing and commercial shipping. The Port of Portland is the largest tonnage seaport in New England. The city has also seen growth in the technology sector, with companies such as WEX building headquarters in the city. 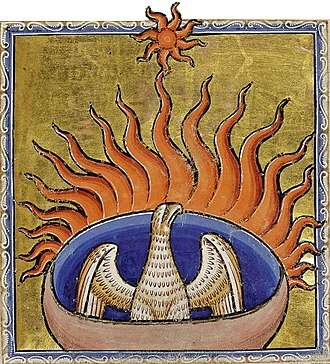 The city seal depicts a phoenix rising from ashes, which is a reference to the recoveries from four devastating fires. Portland was named after the English Isle of Portland, Dorset. In turn, the city of Portland, Oregon was named after Portland, Maine. Native Americans originally called the Portland peninsula Machigonne ("Great Neck"). Portland was named for the English Isle of Portland, and the city of Portland, Oregon, was in turn named for Portland, Maine. The first European settler was Capt. Christopher Levett, an English naval captain granted 6,000 acres (2,400 ha) in 1623 to found a settlement in Casco Bay. A member of the Council for New England and agent for Ferdinando Gorges, Levett built a stone house where he left a company of ten men, then returned to England to write a book about his voyage to bolster support for the settlement.Ultimately, the settlement was a failure and the fate of Levett's colonists is unknown. The explorer sailed from England to the Massachusetts Bay Colony to meet John Winthrop in 1630, but never returned to Maine. Fort Levett in the harbor is named for him. The peninsula was first permanently settled in 1632 as a fishing and trading village named Casco. When the Massachusetts Bay Colony took over Casco Bay in 1658, the town's name changed again to Falmouth. In 1676, the village was destroyed by the Abenaki during King Philip's War. It was rebuilt. During King William's War, a raiding party of French and their native allies attacked and largely destroyed it again in the Battle of Fort Loyal (1690). In 1820, Maine became a state with Portland as its capital. In 1832, the capital was moved north and East to Augusta. In 1851, Maine led the nation by passing the first state law prohibiting the sale of alcohol except for "medicinal, mechanical or manufacturing purposes." 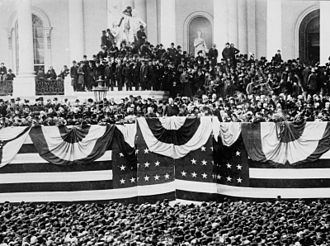 The law subsequently became known as the Maine law, as 18 states quickly followed. On June 2, 1855, the Portland Rum Riot occurred. On June 26, 1863, a Confederate raiding party led by Captain Charles Read entered the harbor at Portland and the Battle of Portland Harbor ensued, one of the northernmost battles of the Civil War. The 1866 Great Fire of Portland, Maine, on July 4, 1866, ignited during the Independence Day celebration, destroyed most of the commercial buildings in the city, half the churches and hundreds of homes. More than 10,000 people were left homeless. Portland has a humid continental climate (Köppen: Dfb), with cold, snowy, and often prolonged winters, and warm, relatively short summers. The monthly average high temperature range from roughly 30 °F (−1 °C) in January to around 80 °F (27 °C) in July. Daily high temperatures reach or exceed 90 °F (32 °C) on only 4 days per year on average, while cold-season lows of 0 °F (−18 °C) or below are reached on 10 nights per year on average. The area can be affected by severe nor'easters during winter, with high winds and snowfall totals often measured in feet. Annual precipitation averages 47.2 inches (1,200 mm) and is plentiful year-round, but with a slightly drier summer; snowfall averages 61.9 inches (157 cm). In coastal Maine, winter-season snowstorms can be intense from November to March, while warm-season thunderstorms are markedly less frequent than in the Midwestern, Mid-Atlantic, and Southeastern U.S. Direct strikes by hurricanes or tropical storms are rare, partially due to the normally cooler Atlantic waters off the Maine coast (which usually weaken tropical systems), but primarily because most tropical systems approaching or reaching 40 degrees North latitude recurve (Coriolis effect), carrying most such storms just south and east of the Portland area. Extreme temperatures range from −39 °F (−39 °C) on February 16, 1943, to 103 °F (39 °C) on July 4, 1911, and August 2, 1975. Portland's neighborhoods include the Arts District; Bayside; Bradley's Corner; Cushing's Island; Deering Center; Deering Highlands; Downtown; East Deering; East Bayside; East End; Eastern Cemetery; Great Diamond Island; Highlands; Kennedy Park; Libbytown; Little Diamond Island; Lunt's Corner; Morrill's Corner; Munjoy Hill; Nason's Corner; North Deering; Oakdale; the Old Port; Parkside; Peaks Island; Riverton Park; Rosemont; Stroudwater; West End; and Woodford's Corner. As of the census of 2010, there were 66,194 people, 30,725 households, and 13,324 families residing in the city. 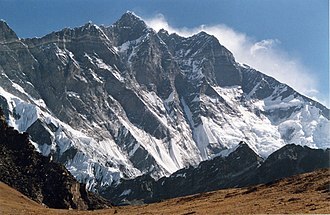 The population density was 3,106.2 inhabitants per square mile (1,199.3/km2). There were 33,836 housing units at an average density of 1,587.8 per square mile (613.1/km2). The racial makeup of the city was 85.0% White (83.6% non-Hispanic White alone), down from 96.6% in 1990, 7.1% African American, 0.5% Native American, 3.5% Asian, 1.2% from other races, and 2.7% from two or more races. Hispanic or Latino of any race were 3.0% of the population. 40.7% of the population had a bachelor's degree or higher. Men's Health ranked Portland the ninth most educated city in America. Map of Portland's poverty rate and accessibility to public transit and grocery stores. According to the U.S. Census Bureau, Portland's immediate metropolitan area ranked 147th in the nation in 2000 with a population of 243,537, while the Portland/South Portland/Biddeford metropolitan area included 487,568 total inhabitants. This has increased to an estimated 513,102 inhabitants (and the largest metro area in Northern New England) as of 2007[update]. Much of this increase in population has been due to growth in the city's southern and western suburbs. Portland has become Maine's economic capital because the city has Maine's largest port, largest population, and is close to Boston (105 miles to the south). Over the years, the local economy has shifted from fishing, manufacturing, and agriculture towards a more service-based economy. Most national financial services organizations such as Bank of America and Key Bank base their Maine operations in Portland. Unum, TruChoice Federal Credit Union, People’s United Bank, ImmuCell Corp, and Pioneer Telephone have headquarters here, and Portland's neighboring cities of South Portland, Westbrook and Scarborough, provide homes for other corporations including IDEXX and WEX Inc. Since 1867, Burnham & Morrill Co., maker of B&M Baked Beans, has had its main plant in Portland and is considered a landmark. The city's port is also undergoing a revival and the first-ever container train departed from the new International Marine Terminal with 15 containers of locally produced bottled water in early 2016. The Arts District, centered on Congress Street, is home to the Portland Museum of Art, Portland Stage Company, Maine Historical Society & Museum, Portland Public Library, Maine College of Art, Children's Museum of Maine, SPACE Gallery, Merrill Auditorium, the Kotzschmar Memorial Organ, and Portland Symphony Orchestra, as well as many smaller art galleries and studios. Thompson's Point, in the Libbytown neighborhood, has been a focus of renovation and redevelopment during the 2010s. The location hosts a concert venue, ice rink, hotels, restaurants, wineries, and breweries. A more recent building of note is Franklin Towers, a 16-story residential tower completed in 1969. At 175 feet (53 meters), it is Portland's (as well as Maine's) tallest building. It is next to the Cathedral of the Immaculate Conception on the city skyline. During the building boom of the 1980s, several new buildings rose on the peninsula, including the 1983 Charles Shipman Payson Building by Henry N. Cobb of Pei, Cobb, Freed & Partners at the Portland Museum of Art complex (a component of which is the 1801 McLellan-Sweat Mansion), and the Back Bay Tower, a 15-story residential building completed in 1990. The Eastland Park Hotel, completed in 1927, is a prominent hotel located downtown on High Street. Photographer Todd Webb lived in Portland during his later years and took many pictures of the city. Some of Webb's pictures can be found at the Evans Gallery. The Portland broadcast media market is the largest one in Maine in both radio and television. A whole host of radio station are located in Portland, including WFNK (Classic Hits), WJJB (Sports), WTHT (Country), WBQW (Classical), WHXR (Rock), WHOM (Adult Contemporary), WJBQ (Top 40), WCLZ (Adult Album Alternative), WBLM (Classic Rock), WYNZ ('60s-'70s Hits), and WCYY (Modern rock). WMPG is a local non-commercial radio station run by community members and the University of Southern Maine. The Maine Public Broadcasting Network's (MPBN) radio news operations are based in Portland. Univ. of Maine women's basketball game at Cross Arena. Portland has developed a national reputation for the quality of its restaurants, eateries, and food culture. In 2009, Portland was named the "Foodiest Small Town in America" by Bon Appétit magazine and was featured as a food destination in the New York Times . Many local chefs have gained national attention over the past few years. In 2017, Zagat named Portland one of the "30 Most Exciting Food Cities in America." In 2018, Portland was named Restaurant City of the Year by Bon Appétit Magazine. Portland is home to a number of microbreweries and brewpubs, including the D. L. Geary Brewing Company, Gritty McDuff's Brewing Company, Shipyard Brewing Company, Casco Bay Brewing Company, Bissell Brothers Brewery, Austin Street Brewery, and Allagash Brewing Company. Portland's food culture is centered on local, organic, and plant-based food. The city has the state's greatest concentration of vegetarian, vegan, and vegetarian-friendly restaurants. In 2016, VegNews magazine added the city to its list of the 12 Best Towns for Vegan Living. The Portland Press Herald features a vegan column in its Food & Dining section . The city's Amato's Italian delicatessen claims to be the birthplace of the Italian sandwich, called "an Italian" by locals. In 2015, Portland ranked 14th on Travel + Leisure's end-of-year list, "America's 20 Best Cities for Beer Lovers." The area played host to an episode of Rachael Ray's Food Network show $40 a Day, the Travel Channel's Man v. Food, and Anthony Bourdain: No Reservations. In the spring of 2007, Portland was nominated as a finalist for "Delicious Destination of the Year" in the Food Network Awards. 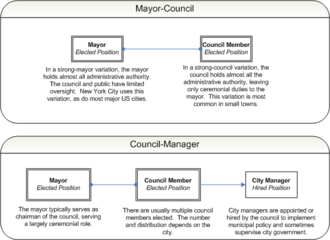 From 1923 until 2011, city councilors chose one of themselves each year to serve as mayor, a primarily ceremonial position. On November 2, 2010, Portland voters narrowly approved a measure that allowed them to elect the mayor. On November 8, 2011, former State Senator and candidate for U.S. Congress Michael F. Brennan was elected as mayor. On December 5, 2011, he was sworn in as the first citizen-elected mayor in 88 years (see Portland, Maine mayoral election, 2011). The office of mayor is a four-year position that earns a salary of 150% of the city's median income. The current mayor is Ethan Strimling, who defeated Brennan in the 2015 election. The Portland Fire Department (PFD) provides fire protection and emergency medical services to the city of Portland 24/7, 365. Established on March 29th 1768, the PFD is made up of over 230 paid, professional firefighters and operates out of 7 Fire Stations, located throughout the city, in addition to Fire Stations staffed by "on-call" firefighters on Peaks Island; Great Diamond Island; Cushing Island; and Cliff Island. The Portland Fire Department also operates an Airport Division Station at 1001 Westbrook St., at the Portland International Jetport, and a Marine Division Station, located at 54 Commercial St. The PFD operates a 4 Platoon shift schedule. Each platoon works for 24 hours followed by one day off. They then work another 24 hour shift followed by 5 days off. The cycle then repeats. The Portland Fire Department also operates a fire apparatus fleet of 5 Engine Companies; 4 Ladder Companies (including 3 Quints); 1 Rescue Company; 1 Hazardous Materials (Haz-Mat.) Unit; 1 Confined-Space Rescue Unit; 5 ARFF Crash Rescue Units; 3 Marine Units (Fireboats); 5 MEDCU Units (Ambulances); and numerous other special, support, and reserve units. Island "call" firefighters man a total of 4 Engines, 1 Ladder, 4 Water Tank Units, and 3 MEDCU Units (Ambulances). Maine Medical Center is the state's only Level I trauma center and is the largest hospital in Maine. 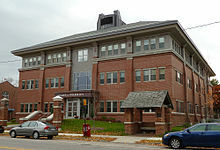 The formerly-independent Brighton Medical Center (once known as the Osteopathic Hospital) is now owned by Maine Medical Center and is operated as a minor care center under the names Brighton First Care and New England Rehab. In 2010, Maine Medical Center's Hannaford Center for Safety, Innovation, and Simulation opened at the Brighton campus. The former Portland General Hospital is now home to the Barron Center nursing facility. Amtrak's Downeaster service offers five daily trains connecting the city with eight towns and cities to the south, ending at Boston's North Station. Three of those trains also go north to Freeport and Brunswick. Concord Coach Lines bus service connects Portland to 14 other communities in Maine as well as to Boston's South Station and Logan Airport. Both the Downeaster and the Concord Coach Lines can be found at the Portland Transportation Center on Thompsons Point Road, in the Libbytown neighborhood. Greyhound Lines on Saint John Street connects to 17 Maine communities and to more than 3,600 U.S. destinations. Commercial air service is available at the Portland International Jetport, located in Stroudwater, west of the city's downtown district. American, Southwest, JetBlue, Delta, and United Airlines service the airport. Direct flights are available to Atlanta, Baltimore, Charlotte, Chicago, Detroit, Philadelphia, New York, Newark, Sarasota, and Washington D.C. The Port of Portland is the second-largest cruise and passenger destination in the state (next to Bar Harbor) and is served by the Ocean Gateway International Marine Passenger Terminal. Ferry service is available year-round to many destinations in Casco Bay. 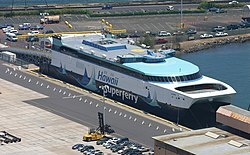 From 2006 to 2009, Bay Ferries operated a high speed ferry called The Cat featuring a five-hour trip to Yarmouth, Nova Scotia, for summer passengers and cars. In years past the Scotia Prince Cruises trip took eleven hours. A proposal to replace the defunct Nova Scotia ferry service was rejected in 2013 by the province. From May 15, 2014, until October 2015, the cruise ship ferry Nova Star made daily trips to Yarmouth, Nova Scotia. Due to poor passenger numbers and financial problems, Nova Scotia selected Bay Ferries, the prior operator of The Cat, to operate the service starting in 2016, citing the company's experience and industry relationships. Nova Star officials pledged a smooth transition to the new operator. The Nova Star was later ordered seized by federal marshals for nonpayment of bills. Ranked fourth on Sperlings Best Places list for America's Foodie Cities. Named "Best American City for Food" by the Daily Meal (April 2015). Named "No. 1 city in U.S. for beer drinkers" by personal finance technology company, SmartAsset (December 2015). Ranked twelfth on Frommer's 2007 "Top Travel Destinations". Named "Best Adventure Town in the East" by Outside Magazine. Ranked first on Forbes.com "America's Most Livable Cities" (2009). Ranked thirteenth on Men's Health Magazine's list of America's 100 most "car crazed" cities. ^ Official records for Portland were kept at downtown from March 1871 to 24 November 1940, and at Portland Int'l Jetport (PWM) since 25 November 1940. Temperature records are limited to the period that PWM was the official site (i.e. since 1940) and are based on the Monthly Weather Summary product issued by the NWS office in Gray, Maine. precipitation and snowfall records date to 1871 and 1882, respectively. ^ a b "US Gazetteer files 2010". United States Census Bureau. Archived from the original on July 14, 2012. Retrieved November 23, 2012. ^ "Population estimates, July 1, 2015, (V2015)". www.census.gov. Retrieved 2017-01-01. ^ "Explore Downtown". Portland Downtown. Retrieved 2019-01-02. ^ "Facts and Links | City of Portland". asp.portlandmaine.gov. Archived from the original on January 16, 2017. Retrieved January 30, 2017. ^ "Portland History". www.naosmm.org. Retrieved 2018-10-09. ^ "Portland: The Town that was Almost Boston". Portland Oregon Visitors Association. Retrieved March 6, 2013. ^ Baxter, James Phinney (September 10, 1893). "Christopher Levett, of York: The Pioneer Colonist in Casco Bay". Gorges Society. Retrieved September 10, 2017 – via Google Books. 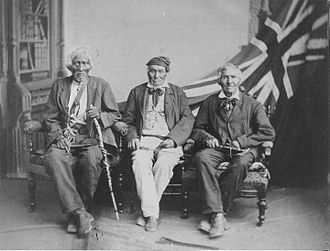 ^ "Jedediah Preble letter on Mowat kidnapping, 1775". Retrieved April 1, 2007. ^ Maine Secretary of State (1899). Private and Special Laws of the State of Maine. Kennebec Journal Print. pp. 9–13. Retrieved 30 January 2016. ^ Conforti, Joseph (2007). Creating Portland. UPNE. p. xvii. ISBN 978-1-58465-449-0. Retrieved 30 January 2016. ^ "Bayside is a journey of many 'next steps'". Portland Press Herald (Blethen Maine Newspapers, Inc.). October 16, 2006. Archived from the original on October 22, 2006. Retrieved November 13, 2006. ^ Turkel, Tux (February 6, 2007). "An urban vision rises in Bayside". Portland Press Herald (Blethen Maine Newspapers, Inc.). Archived from the original on December 26, 2007. Retrieved February 27, 2007. ^ a b c "NowData – NOAA Online Weather Data". National Oceanic and Atmospheric Administration. Retrieved 2016-09-12. ^ "Observed Weather Reports". National Oceanic and Atmospheric Administration. Retrieved 2016-09-12. ^ "Station Name: ME PORTLAND INTL JETPORT". National Oceanic and Atmospheric Administration. Retrieved 2016-09-12. ^ "Neighborhoods". Portland, Maine. Retrieved 2018-01-31. ^ "Neighborhoods Associations - Portland, ME". www.livinginportland.org. Retrieved September 10, 2017. ^ "Shall We Tax the Hunters?". Lewiston Evening Journal. Google News Archive. February 2, 1899. p. 2. ^ a b Deans, Emma (July 8, 2010). "Welcome to Nowhere | Reconnecting an amputated neighborhood". The Bollard. Archived from the original on July 31, 2010. Retrieved July 12, 2010. ^ United States Census Bureau. "Census of Population and Housing". Retrieved November 4, 2014. ^ "Minor Civil Division Population Search Results". University of Maine. Archived from the original on September 29, 2011. Retrieved September 18, 2013. 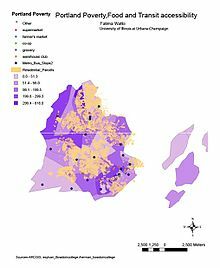 ^ "Maine - Race and Hispanic Origin for Selected Cities and Other Places: Earliest Census to 1990". U.S. Census Bureau. Archived from the original on August 6, 2012. ^ "Where School Is In". September 12, 2011. Retrieved September 10, 2017. ^ "Table 1. Annual Estimates of the Population of Metropolitan and Micropolitan Statistical Areas: April 1, 2010 to July 1, 2012 (CBSA-EST2012-01)". 2012 Population Estimates. United States Census Bureau, Population Division. September 18, 2013. Archived from the original (CSV) on April 1, 2013. Retrieved September 18, 2013. ^ "Portland, Maine". City Data. 2010. Retrieved April 3, 2010. ^ "Population estimates, July 1, 2015, (V2015)". www.census.gov. Retrieved 2017-01-30. 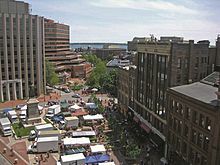 ^ "Portland, Maine Population: Census 2010". www.census.gov. Retrieved 2017-01-30. ^ a b "Historical Census Statistics On Population Totals By Race, 1790 to 1990, and By Hispanic Origin, 1970 to 1990, For Large Cities And Other Urban Places In The United States" (PDF). US Census Bureau. ^ "Poland Spring to ship water by train to Massachusetts distributors". Press Herald. 2016-04-06. Retrieved 2018-01-23. ^ "Thompson's Point - Development in Portland, Maine". Thompson's Point. Retrieved 2017-01-30. ^ "Pesticide bans raise question: Can we manage garden pests without chemicals?". June 17, 2018. ^ "Portland's tough new ban on synthetic pesticides allows few exceptions". January 4, 2018. ^ "Franklin Towers". Emporis.com. Retrieved 2014-02-13. ^ CB Richard Ellis/The Boulos Company. "Greater Portland Area 2006 Office Market Survey" (PDF). Archived from the original (PDF) on August 22, 2006. Retrieved August 10, 2006. ^ Bob Keyes (April 4, 2010). "THAT '70S SHOW: A new photography exhibition offers a look back at a very different Portland". Maine Sunday Telegram. Retrieved October 10, 2010. "Seeing Portland" focuses on the work of photographers from the 1970s and early '80s, including "Splendid Restaurant, Congress Street, Portland, 8/20/76" by Todd Webb. The show opens Saturday at Zero Station in Portland. ... The exhibition brings together the work of several accomplished photographers. In addition to Graham, photographers with work in the show include Tom Brennan, C.C. Church, Rose Marasco, Joe Muir, Mark Rockwood, Jeff Stevensen, Jay York and Todd Webb. ^ Bob Keyes (May 30, 2010). "Photographer's estate updates, improves website". Maine Sunday Telegram. Retrieved October 10, 2010. The estate of Todd Webb announced a recent refurbishment of its website, toddwebbphotographs.com. ^ "The 10 Best Portland Restaurants 2017 - TripAdvisor". www.tripadvisor.com. Retrieved September 10, 2017. ^ Goad, Meredith (September 18, 2009). "A second course of food glory". Portland Press Herald. Archived from the original on September 22, 2009. Retrieved September 25, 2009. ^ Knowlton, Andrew. "Portland, Maine: In the Magazine: Bon Appétit". Bonappetit.com. Archived from the original on May 13, 2013. Retrieved April 28, 2013. ^ Goad, Meredith (April 5, 2007). "Food could put Portland on the map". Portland Press Herald (Blethen Maine Newspapers, Inc.). Archived from the original on October 9, 2007. Retrieved April 5, 2007. ^ Goad, Meredith (April 11, 2007). "Where chefs come to shine". Portland Press Herald (Blethen Maine Newspapers, Inc.). Archived from the original on December 26, 2007. Retrieved April 11, 2007. ^ First, Devra (February 13, 2008). "James Beard Awards: and the nominees might be". The Boston Globe. ^ "Zagat". www.zagat.com. Retrieved 2019-01-02. ^ Moskin, Julia. "A Rich Symphony of Food: Go to Portland and Eat". ^ Kamila, Avery Yale (August 19, 2009). "Veteran plant-eater happily endorses veggie chic". Portland Press Herald (MaineToday Media, Inc.). Archived from the original on May 9, 2012. Retrieved August 19, 2009. ^ "12 Best Towns for Vegan Living". ^ "Ever heard of veganic farming? Neither had we". Press Herald. ^ "History Hoagie Sandwich, History Submarine Sandwich, History Po' Boys Sandwich, Poor Boy Sandwich, History Dagwood Sandwich, History Italian Sandwich". Whatscookingamerica.net. Retrieved April 28, 2013. ^ a b c "A list of lists praising Portland". The Portland Press Herald. 2015-11-15. Retrieved 2017-01-31. ^ "Portland, Maine". Food Network. Retrieved 2019-01-02. ^ Writer, Meredith GoadStaff (2010-07-06). "Man v. Food eats Maine". Press Herald. Retrieved 2019-01-02. ^ Gavin, Ryan. "Watch: That Time When Anthony Bourdain Traveled to Maine & Loved Vacationland on 'No Reservations'". Q97.9. Retrieved 2019-01-02. ^ Goad, Meredith (April 16, 2007). "Portland has taste of food fame, but the other Portland is served". Portland Press Herald (Blethen Maine Newspapers, Inc.). Archived from the original on October 6, 2007. Retrieved April 16, 2007. ^ a b "© Copyrighted" (PDF). Archived from the original (PDF) on May 27, 2010. Retrieved September 10, 2017. ^ "Copyrighted" (PDF). Archived from the original (PDF) on May 27, 2010. Retrieved September 10, 2017. ^ Koenig, Seth (November 6, 2013). "Portland police chief, Maine attorney general say Portland pot legalization vote won't change enforcement strategies". Bangor Daily News. Retrieved June 1, 2014. ^ "Elections: Data and Information". Retrieved October 1, 2018. ^ "REGISTERED & ENROLLED VOTERS - STATEWIDE" (PDF). November 4, 2014. Retrieved February 18, 2019. ^ "Fire Department - Portland, ME". portlandmaine.gov. Retrieved September 10, 2017. ^ "Portland, ME". portlandmaine.gov. Retrieved September 10, 2017. ^ "Hannaford Center Safety Innovation & Simulation". simulation.mmc.org. ^ "METRO Bus - Portland, ME". www.portlandmaine.gov. Retrieved September 10, 2017. ^ Richardson, Whit (March 5, 2013). "Nova Scotia rejects both proposals to restart ferry service to Maine". Bangor Daily News. Retrieved September 16, 2016. ^ Fischell, Darren (October 29, 2015). "Province prefers past Cat ferry operator over Nova Star for 2016". Bangordailynews.com. Retrieved November 19, 2015. ^ Betts, Stephen (October 31, 2015). "Court orders seizure of Nova Star ferry". Bangordailynews.com. Retrieved November 19, 2015. ^ Murphy, Edward (March 24, 2016). "New ferry expected to make Portland-Yarmouth trip in 5½ hours". Portland Press Herald. Retrieved March 29, 2016. ^ Fischell, Darren (March 24, 2016). "Ferry operator lands ship, signs 10-year Portland-Nova Scotia deal". Bangordailynews.com. Retrieved March 29, 2016. ^ "America's Foodiest Small Town". Archived from the original on 2013-08-27. ^ Ethridge, Will (January 31, 2011). "America's Top Foodie Cities – Portland is #4!". Retrieved September 10, 2017. ^ "Best American Cities for Food". The Daily Meal. Retrieved 2016-05-04. ^ "The Best Cities for Beer Drinkers | SmartAsset.com". smartasset.com. Retrieved 2016-05-04. 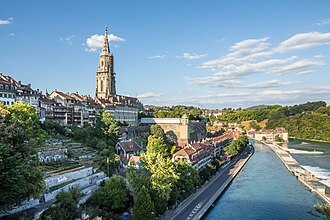 ^ "17 of the world's best cities for craft beer". Matador Network. Retrieved 2016-05-04. ^ "12 Best Towns for Vegan Living access-date=2017-12-27". ^ "Frommer's Top Travel Destinations for 2007". Frommer's (Wiley Publishing, Inc.). November 21, 2006. Retrieved November 29, 2006. ^ "Portland, Maine: Best. City. Ever". Retrieved September 10, 2017. ^ "America's Most Livable Cities". Forbes. 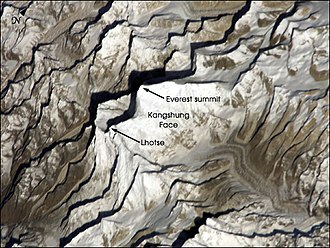 April 1, 2009. Archived from the original on December 8, 2012. Retrieved April 7, 2009. ^ "America's Most Car-Crazed Cities". Archived from the original on February 3, 2015. Retrieved September 10, 2017. ^ Quimby, Beth (September 10, 2010). "Portland joins list of top college cities". Portland Press Herald. Retrieved September 10, 2010. ^ "The Coolest Small Cities in America". GQ. Retrieved November 6, 2010. ^ "Yep, We're Gay! Study Finds Portland (Maine!) Third Gayest City". LiveWorkPortland. July 25, 2010. Archived from the original on May 21, 2011. Retrieved January 19, 2011. ^ "Japan index of Sister Cities International retrieved on December 9, 2008". Archived from the original on September 10, 2017. Retrieved September 10, 2017. Wikisource has the text of a 1911 Encyclopædia Britannica article about Portland, Maine. The Portland Observatory is a historic maritime signal tower at 138 Congress Street in the Munjoy Hill section of Portland, Maine. Built in 1807, it is the known surviving tower of its type in the United States. Using both a telescope and signal flags, two-way communication between ship and shore was possible several hours before an incoming vessel reached the docks. The tower was designated a National Historic Landmark in 2006, it is now managed by a local nonprofit as a museum, Portland has a deep harbor sheltered by numerous islands. Ships entering the harbor are not directly visible from the wharfs and this problem was solved in 1807 when Captain Lemuel Moody organized the construction of an observatory on Portlands Munjoy Hill, visible from both the open ocean and the wharfs. During the War of 1812, the observatory was used as a watch tower, the 86-foot tall observatory is octagonal and lighthouse-shaped, with a fieldstone base of heavy loose rocks, and stands 222 feet above sea level. There is no basement but the rock ballast in the bottom floor, the observatorys lantern included a P & J Dolland Achromatic Refracting Telescope, which could identify ships 30 miles to sea. That telescope disappeared from the observatory in 1939, the observatory has been renovated numerous times over the years, including a Works Progress Administration renovation in 1939. 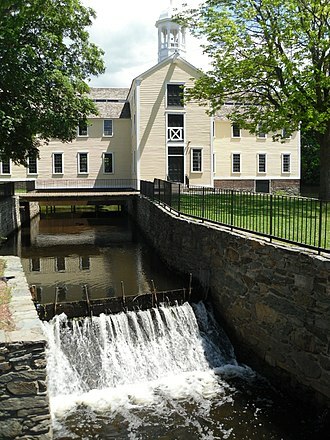 It was most recently renovated from 1998-2000 to repair damage from moisture and this renovation won a 2001 National Preservation Honor Award from the National Trust for Historic Preservation. The center column was not a feature, and was added in the 1939 renovation. In 2014 additional repairs to the windows and shingles were underway, the observatory was placed on the National Register of Historic Places in 1972. In 2006, the observatory was made a National Historic Landmark, the Portland Observatory is the only remaining maritime signal station in the United States. A telephone was installed, extending the towers function until 1923. The railroad history of Portland, began in 1842 with the arrival of the Portland, Saco & Portsmouth Railway. Most of the activity in Portland revolved around agricultural goods bound for export and import freight from Europe. Yet Maines largest city enjoyed 125 years of passenger rail service, from 1842 until 1967. Portland first became a hub when the Cumberland and Oxford Canal to interior Maine was completed in 1832. The first railroad reached the city 10 years later, the Portland, Saco & Portsmouth Railway, the PS&Ps main terminal in Portland was on Commercial Street south of Union Street. Six passenger trains per day connected Portland with East Boston, the Boston & Maine Railroad arrived in 1843. 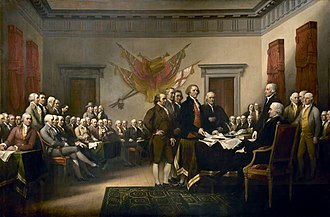 Portland businessmen led by John A, poor believed rail connections with Boston threatened Portlands independent seaport. Poor promoted a system of Portland gauge railroads to funnel interior traffic to Portland in competition with the standard gauge railroads bringing traffic into the port of Boston. The Portland Company was organized in 1846 to build locomotives for the Atlantic & St. Lawrence Railroad, services to Auburn and Waterville began in 1849 on lines of the original Maine Central system that are now the main line to Lewiston and Bangor. The route to Brunswick opened in 1847 as a portion of the Kennebec & Portland Railroad which was subsumed by the MEC. The Portland gauge railways north of Portland were converted to standard gauge in the 1870s, Portland once boasted four passenger rail stations, Commercial Street and India Street, Preble Street on the north side, and Union Station to the west. In the early days, trains from the south on the PS&P terminated at Commercial Street south of Union Street, in 1873, when the B&M completed their line to Portland, their northern terminal on Saint John Street was named Portland Union Station. With the growth of the B&M, the Commercial Street terminal lost its prominence in the 1870s, the Preble Street terminal was constructed to serve the Portland & Rochester, which eventually became the Worcester and Portland division of the Boston & Maine. Wolfgang William Romer was a Dutch military engineer, born at The Hague. He was the son, in a family of six sons and five daughters, of Mathias Romer of Düsseldorf. Mathias was ambassador to Holland from the Elector Palatine, who stood godfather to Wolfgang at his baptism on 17 May 1640, Romer entered the service of William of Orange as a military engineer. In 1688, Romer was a colonel in the army of Prince William which landed in England in 1688, by the end of the year, King James II had fled, and William of Orange was proclaimed King of England in February 1689. By a royal warrant of 13 May 1690, Romer was appointed engineer in Ireland at 20 shillings a day and he took part in the campaigns of 1690 and 1691, and was employed on the fortifications of Cork and Thurles. He remained in Ireland until 1692, when he was appointed by warrant of 7 July. On 26 July he embarked with fourteen thousand troops in transports, and joined the fleet at Portland, on 8 May 1694, he was directed by royal warrant to report on the defences of Guernsey, and to lay out any additional works which were urgent. A plan of Castle Cornet, drawn by Romer when on duty, is in the British Museum. At the beginning of 1697, Romer was ordered to New York, the Board of Ordnance recommended that his warrant should be cancelled, and that he should be discharged from the Kings service. Bellamont had so high an opinion of Romer that he was allowed to retain his services beyond the term arranged. Romer made a plan of the Hudson River, New York, in 1700, he explored the territories of the Iroquois Confederacy, who were allied with the British, and made a map of his journey among them. From 1701 to 1703, he was engaged in fortifying Boston Harbour and he built Castle William, mounting one hundred guns, on Castle Island. 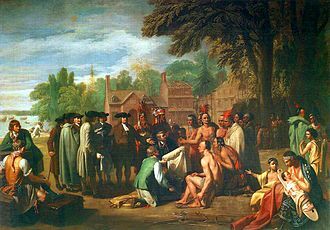 It was destroyed on 17 March 1776, when the British evacuated Boston, Romer constructed defensive posts and forts in the Iroquois territories, and many of them were executed at his own expense, for which he was never reimbursed. In 1703, who was suffering from a distemper not curable in those parts for want of experienced surgeons and he remained in America until 1706. The History of Portland, Maine begins when the area was called Machigonne, meaning great neck, by Algonquian Indians who originally inhabited the peninsula. It extends to the recent cultural and economic renaissance. Native Americans followed receding glaciers into Maine around 11,000 BCE, at the time of European contact in the sixteenth century, Algonquian speaking people inhabited present-day Portland. 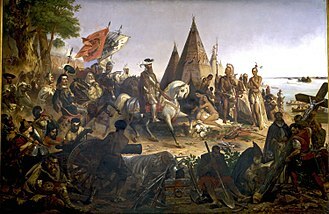 According to Captain John Smith in 1614, a band called the “Aucocisco” inhabited the bottome of a large deepe Bay. This bay would come to be known as Casco Bay, the introduction of European wares in the 1500s disrupted long-standing Native trade relationships in the northeast. Starting around 1607, Micmacs began raiding their neighbors from the Gulf of Maine to Massachusetts in an effort to corner the lucrative fur trade. The arrival of foreign pathogens only served to compound the violence in the region, a particularly notorious pandemic between 1614 and 1620 ravaged the population of coastal New England with mortality rates at upwards of 90 percent. In this chaotic milieu, groups like the Almouchiquois disappear from the historical record, Native peoples were not totally destroyed however, maintaining a presence in the Casco Bay area until King Georges War in the 1740s. The first European to attempt settlement was Christopher Levett, an English naval captain who was granted 6,000 acres from the King of England in 1623 to found a permanent settlement in Casco Bay. Levett proposed naming it York after York, the town of his birth, but his efforts yielded little interest, and Levett never returned to Maine. He did sail to Massachusetts Bay Colony in 1630 to confer with Governor John Winthrop and its unknown what became of the men he left behind at Machigonne. Fort Levett, built in 1894 on Cushing Island in Portland Harbor, is named for him, the next settlement came in 1633 when George Cleeve and Richard Tucker established a fishing and trading village. The town was renamed Casco, an obelisk monument at the end of Congress Street, where it meets the Eastern Promenade, commemorates the four historical names of Portland. 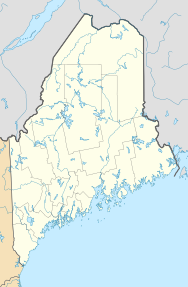 Cumberland County is a county located in the state of Maine, in the United States. 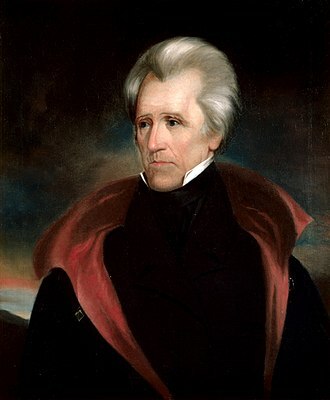 As of the 2010 census, the population was 281,674, Cumberland County was founded in 1760 from a portion of York County and named for William, Duke of Cumberland, a son of King George II. 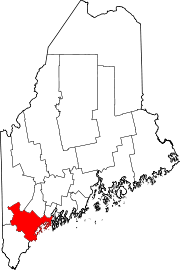 Cumberland County has the deepest and second largest body of water in the state, Sebago Lake, Cumberland County is part of the Portland–South Portland, ME Metropolitan Statistical Area. According to the U. S. Census Bureau, the county has an area of 1,217 square miles. The population density was 318 people per square mile, there were 122,600 housing units at an average density of 147 per square mile. The racial makeup of the county was 95. 74% White,1. 06% Black or African American,0. 29% Native American,1. 40% Asian,0. 04% Pacific Islander,0. 35% from other races, and 1. 13% from two or more races. 0. 95% of the population were Hispanic or Latino of any race,28. 40% of all households were made up of individuals and 10. 20% had someone living alone who was 65 years of age or older. The average household size was 2.38 and the family size was 2.95. In the county, the population was out with 23. 30% under the age of 18,8. 40% from 18 to 24,31. 30% from 25 to 44,23. 60% from 45 to 64. The median age was 38 years, for every 100 females there were 93.80 males. For every 100 females age 18 and over, there were 90.20 males, the median income for a household in the county was $44,048, and the median income for a family was $54,485. Males had an income of $35,850 versus $27,935 for females. The per capita income for the county was $23,949, about 5. 20% of families and 7. 90% of the population were below the poverty line, including 9. 10% of those under age 18 and 7. 40% of those age 65 or over. 19. 6% were of English,15. 5% Irish,9. 6% French,7. 8% United States or American,7. 7% Italian,6. 3% French Canadian and 5. 9% German ancestry according to Census 2000. 94. 4% spoke English and 2. 1% French as their first language, as of the 2010 United States Census, there were 281,674 people,117,339 households, and 70,778 families residing in the county. From the Portland Observatory looking northeast on Congress St.
Munjoy Hill Neighborhood Organization Hill House in Autumn, 2010. Exchange Street, in the Old Port, viewed from the bottom of its hill, during the height of the summer tourist season. The distinctive glass awning of Bull Feeney's, at the corner of Fore and Exchange Street. Much of the Old Port keeps true to its 19th-century architecture and styling. The "sea to sea" grant of Plymouth Council for New England is shown in green. The location of the Plymouth Colony settlement is demarcated as "Pl"